After the devaluation of Malawi’s currency by the National Bank about two weeks ago, the launch of the new 1000 MWK bank note is getting close. Besides that several other bank notes will be changed. In the future they will bear different faces of important political figures from the country’s history. We are introducing a complete new series of bank notes, in the process will have a new bank note of K1.000. The move is aimed at easing the pressure on inflation, the rise in the cost of basic goods and services. Mainly we have done this in order to reduce the cost of printing money as the size of the currencies have been significantly reduced…At the same time we have also increased some additional security and visually impaired-friendly features. 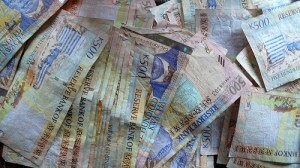 According to Nyasa Times, the contract to print that new note was given to the British company De La Rue. When late president Bingu wa Mutharika was still alive, his government actually planned to have Mutharika’s face on the new bank notes while the 500 Kwacha notes should bear Dr. Hastings Kamuzu Banda’s face. 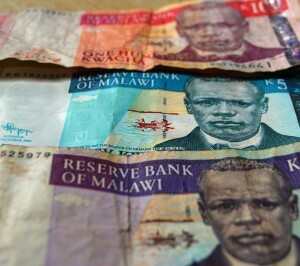 Now, the Reserve Bank of Malawi (RBM) announced that the new 1000 bank notes will actually bear the face of the first president of independent Malawi, Dr. Kamuzu Hastings Banda. In the end of the 1950ies, Banda worked for the secession from the Federation between Nyasaland and Rhodesia and the final independence from British rule. 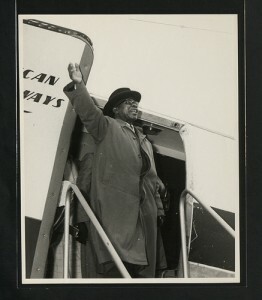 After officials of the Malawi Congress Party and British administrators agreed on the independence in London, Banda became the first president of Malawi in 1964. His legislature would last for some 30 years before multiparty democracy was demanded by oppositional forces. Besides the introduction of the new 1000 Kwacha note, K20, K50, K100, K200 and K500 notes will be phased out. The former largest note in value, K500, bore the country’s first nationalist and freedom fighter: John Chilembwe. The K200 note will bear Rose Chibambo’s face. Born in 1928, she was one of Malawi’s most important female politicians in history. During Nyasaland’s struggle for independence opposing the Federation with Rhodesia, she lead a group of women protesting for high ranked Nyasaland African Congress officials. After fighting for Malawi’s independence, she opposed Banda’s rule in the 1960ies among others. In the following she fled to neighboring Zambia in order to escape the harassment. The founder of the Nyasaland African Congress (NAC), which would later become the ruling party Malawi Congress Party (MCP), James Frederick Sangala’s face will be embossed on the K100 note. With the faces of Inkosi Ya Makhosi Gomani II (Philip Zitonga Maseko) and Inkosi ya Makhosi M’mbelwa (Lazalo Mkhuzo Jere) on the K50 and K20 notes respectively, the series of important political figures of Malawian history is complete. Instead of all different bank notes bearing the face of John Chilembwe, these other important figures will be recognizable on the newly printed Malawian bank notes. The central bank said that the new series will be in circulation from the 23 of May on.